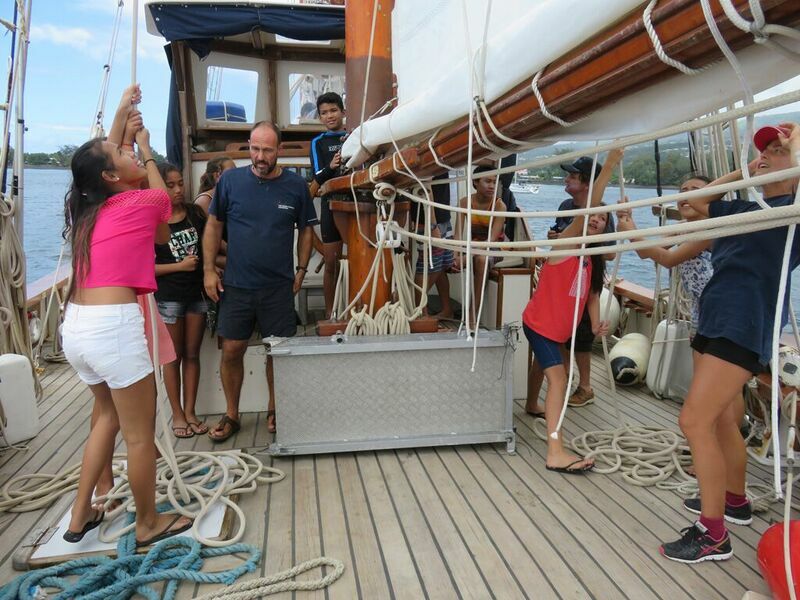 The idea developed soon after the arrival of the expedition in Tahiti in June 2016 after exciting meetings and exchanges with local scientific, environmental and socio-educational representatives. 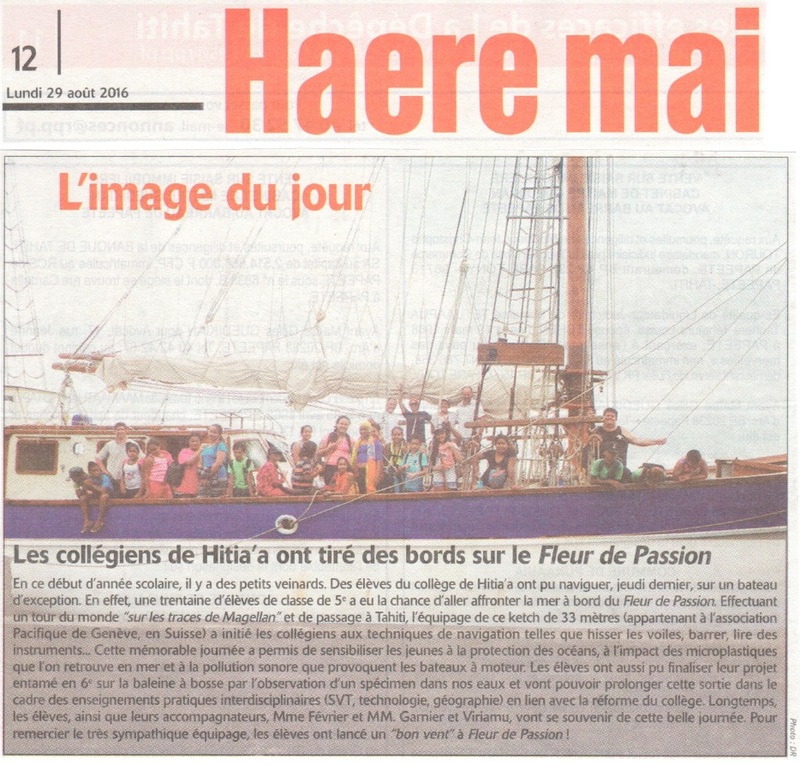 These became a concrete program a few months later: two primary school classes from Papeete and their teachers had the privilege - and joy - to board Fleur de Passion for a one day sea trip on 25 and 30 August. 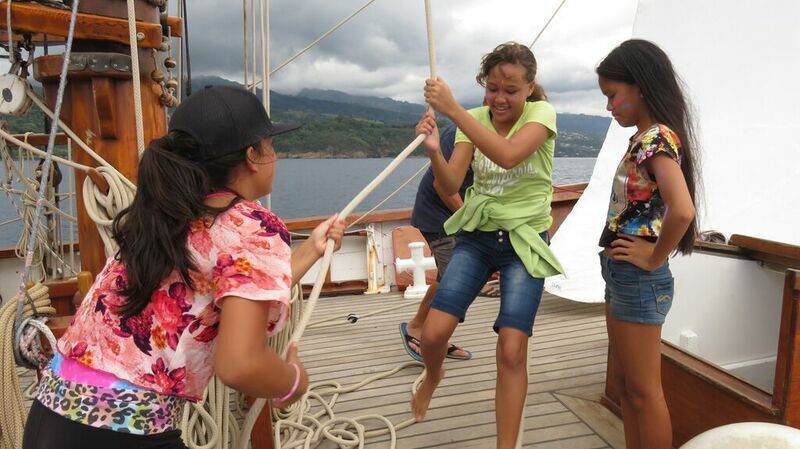 Sixty children aged 12-13, for whom this introduction to sailing was an amazing first experience. The fundamental issue, however, was another. 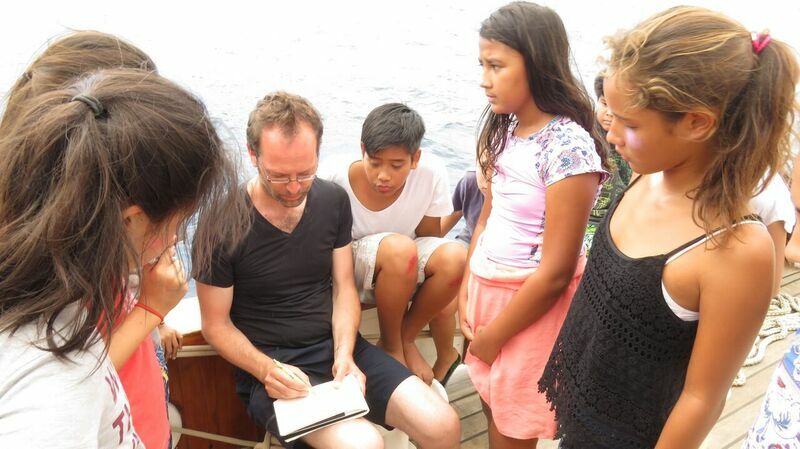 It was for them to understand the marine world from a closer point of view and to extend in this new and exciting way the advocacy work done in the classroom. 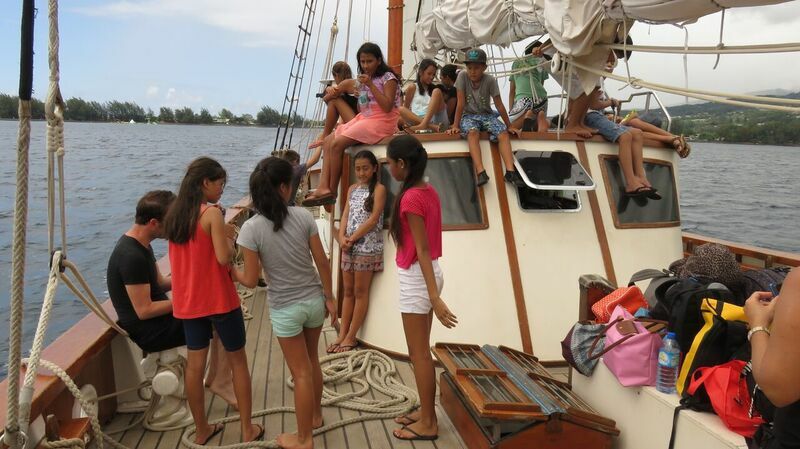 Mission accomplished, if we can judge by the stars shining in the eyes of these "buccaneers" for a day when they returned to port.